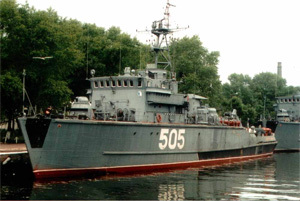 Alexei Lebedev is a Project 12650 coastal minesweeper. In June 2005 the ship carried out anti-mine drills along with French coastal minesweeper Cassiopee. In 2005, 2010 the ship took part in the Open Spirit joint naval exercise.